I’m sharing some of my favorite crafts that involve recycling in honor of Earth Day. You can see more of my upcycled tutorials HERE. Teeny tiny marshmallow roasting kit, anyone? 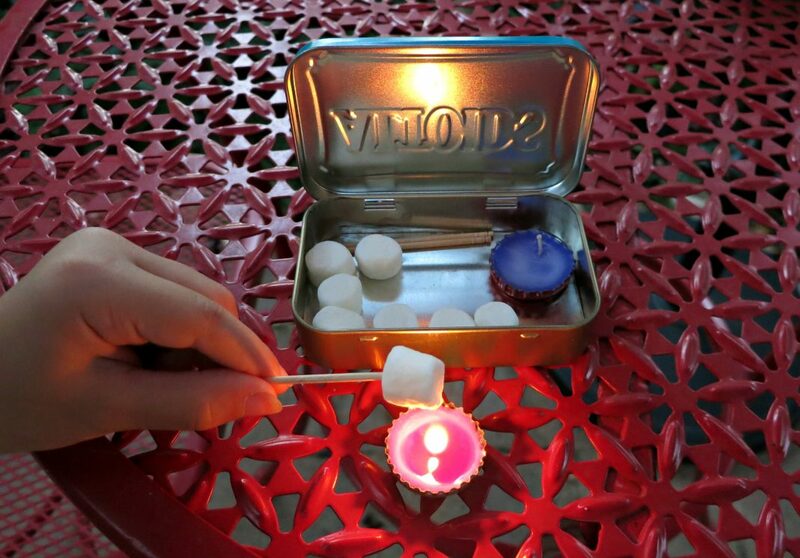 I couldn’t resist throwing a mini kit together after I made these itty bitty bottle cap candles. 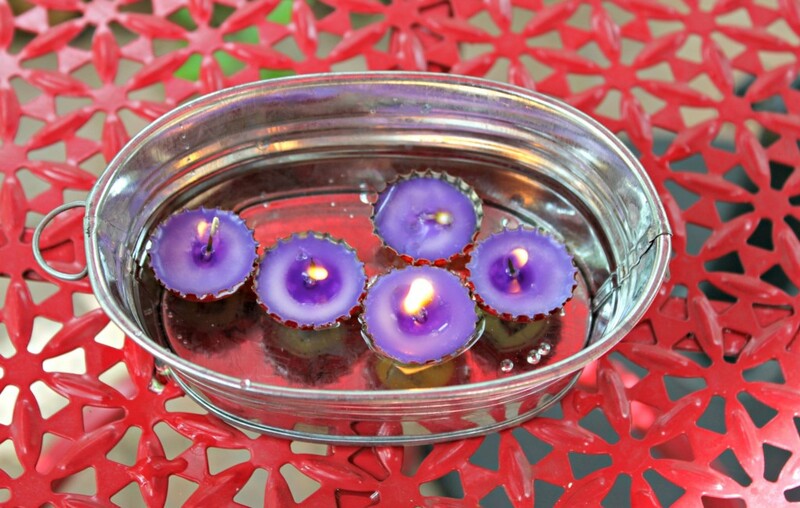 A fun way to craft and recycle, I originally designed this project to use as floating candles. But with a little imagination, I’m sure you can come up with lots of uses for these miniature candles! Step one: Cut one inch pieces of wick. Use Elmer’s glue or hot glue to attach the wick to the center of the bottle cap. For best results, use a wick with a clip, but if you don’t have a clip (like me) this is a way to improvise. Let the glue dry completely before moving to step two. Step two: Melt the wax. I have a warming plate that I use, but there are several DIY versions you can try if you don’t have a melter. 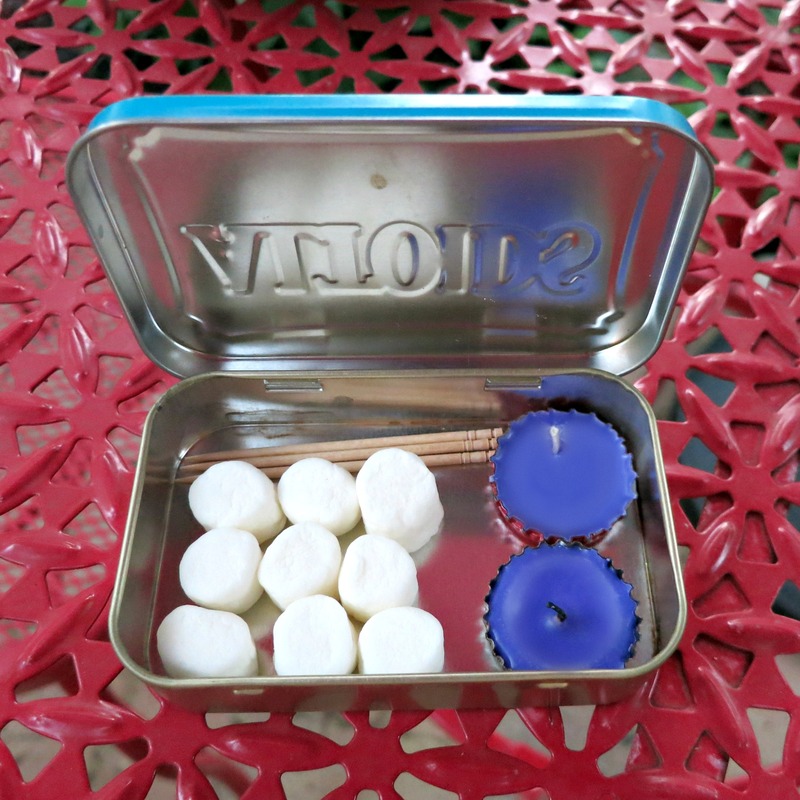 One of the most common techniques is to place a glass jar or recycled tin can in a pot of boiling water till the wax melts. Step three: Once the wax has melted, add the colored wax. The concentration is very intense, so start with a tiny bit (shave or cut it off the larger cube), and add more color until you’ve achieved the desired effect. Step four: Add the scented wax to the melted, colored wax. Again, start with a small amount then add more until the scent is pleasing to you. Step five: Pour the melted wax into the bottle cap, and let it cool. Work on a craft sheet or wax paper to make clean up easier. If you are gifting these or carrying them with you for a picnic, you can fit 6 mini candles in a mint tin. 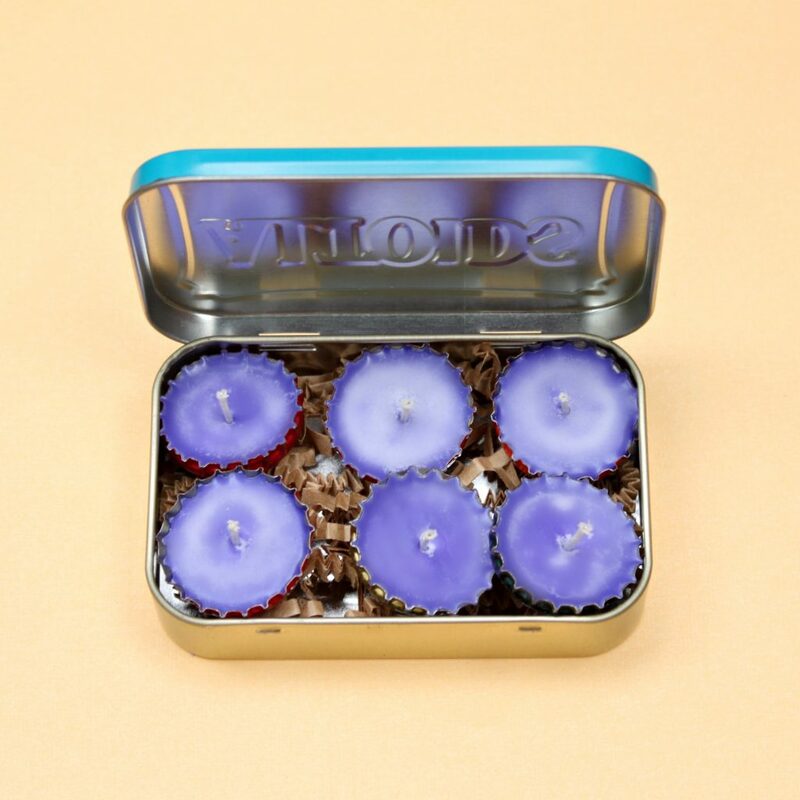 Would’t it make an adorable, romantic gift to decorate a tin and fill it with tiny candles and a few matches? Instant candlelight wherever you are! 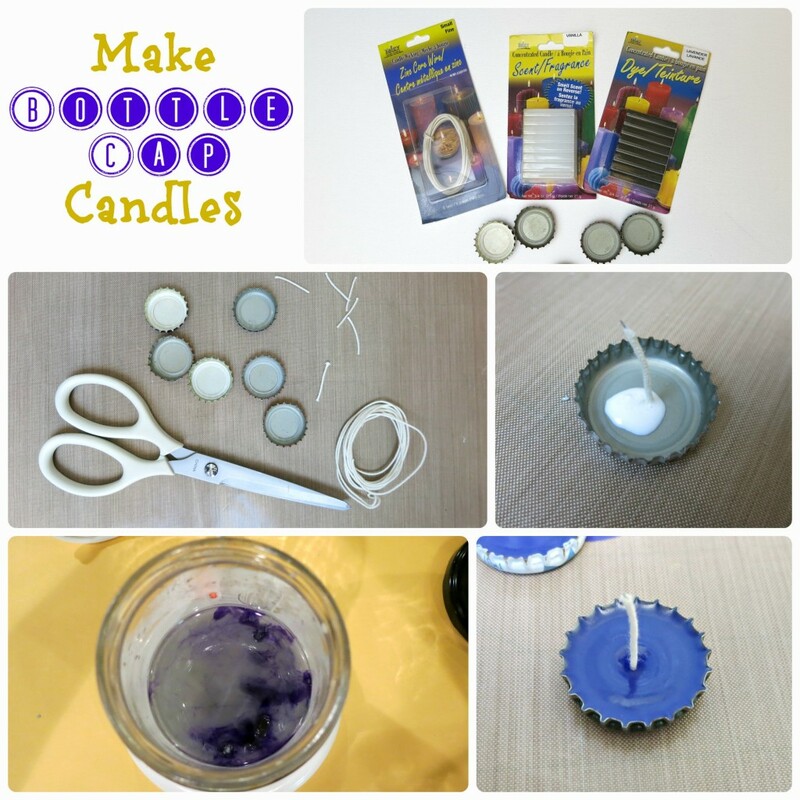 How will you use your bottle cap candles when you make them? Have fun crafting and creating! I originally published this post at Blitsy when I was on their design team. Previous articleOwl Bet You’ll Love this DIY!